We stride off to Margaret Dabbs for regular medical pedicures and are great fans of her practical, down-to-earth footer advice. No question, though: while we swear they're worth every penny, treatments aren't cheap. But with the launch of this new range in good old M&S, created specially for the high street chain, happy feet are several steps closer. The Foot Care Collection Gift set is a good place to start if you want to try several of the products out (and a jolly nice present to yourself, we think). You might also be interested in the individual gel pads which help prevent shoes from rubbing (just press the sticky side onto a 'danger area'). 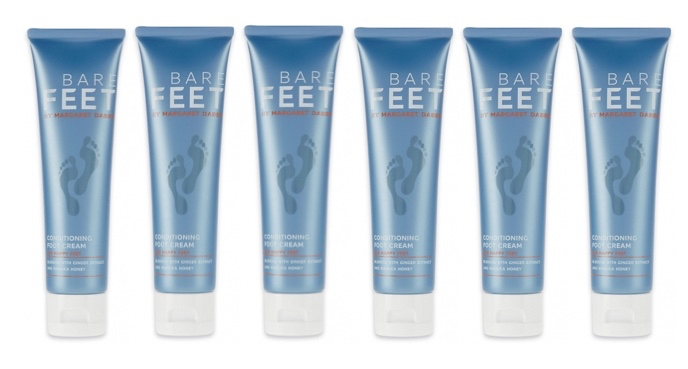 You're honestly several steps closer to buffed and beautiful feet with this lot. And as we always say (sorry, but we do): happy feet make etc. etc. etc. !